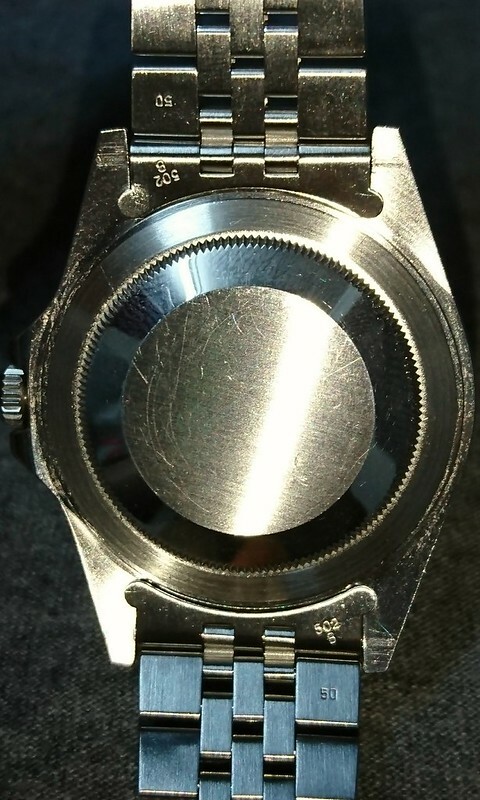 Is it original gmt 50 jubilee on 502b endlinks? Or is it datejust jubilee on datejust endlinks? I knew I have to have the one made for these...all original(ly) made for the Gmts (the only Rolex Sports with stock option on jubilee) with the 502b endlinks and 50 stamped on the last link which will take the original 2mm spring bar. Apparently not many were produced as the Gmts jubilees are not very popular back then. Rare? WIS say yes...me? I just say I am loving it. My GMTs are all also on original GMT Jubilees including one in solid gold. GMTs are basically the only Rolex sports that comes in that iteration until most recently. I find the elegance exuded by a jubilee on the strength of a sports Rolex truly unique and beautiful. Glad to know that you do too. Great pics and great watch, i recently got mine last year and will be getting a jubilee bracelet for it soon.